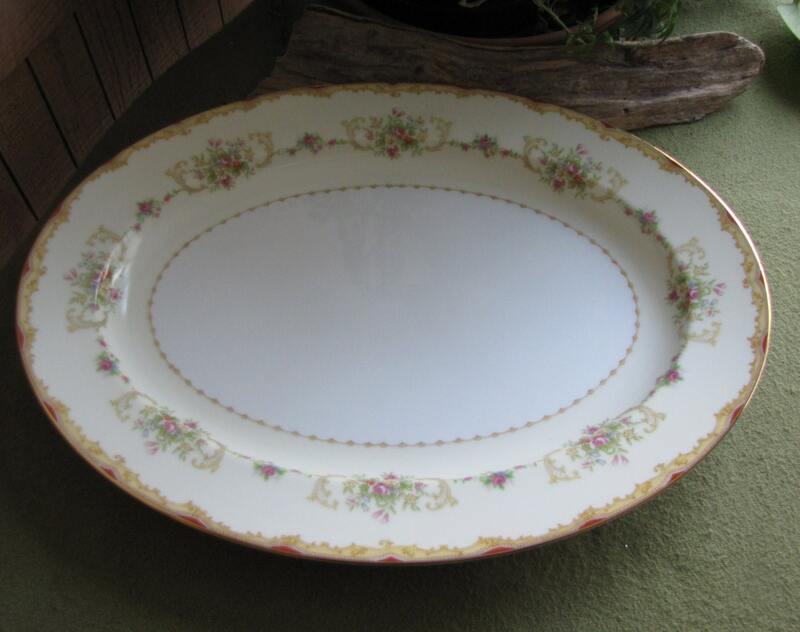 This Noritake meat platter is in very good vintage condition with no chips or cracks. 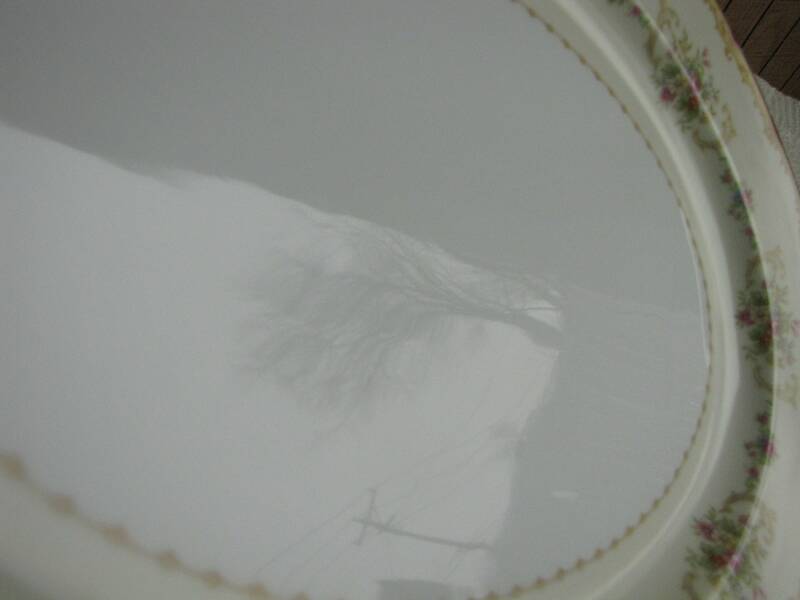 I am hard pressed to find a scratch anywhere on it. 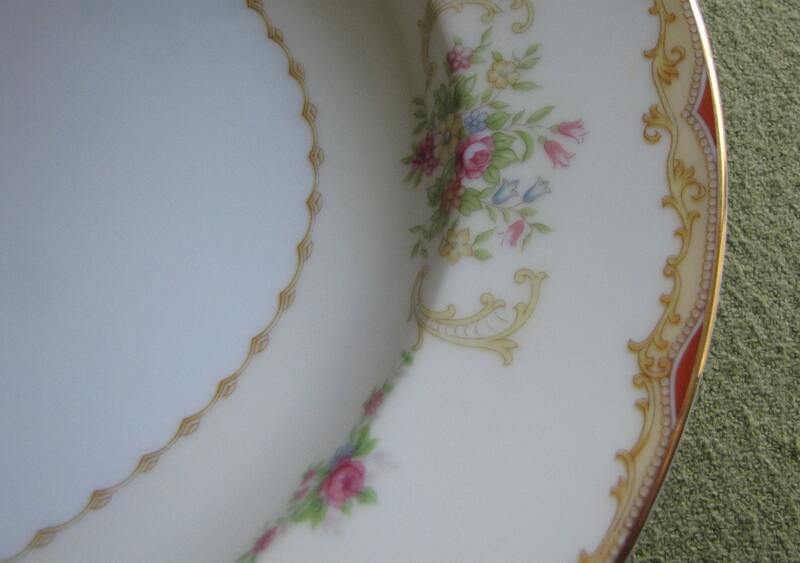 The gold trim is intact too. 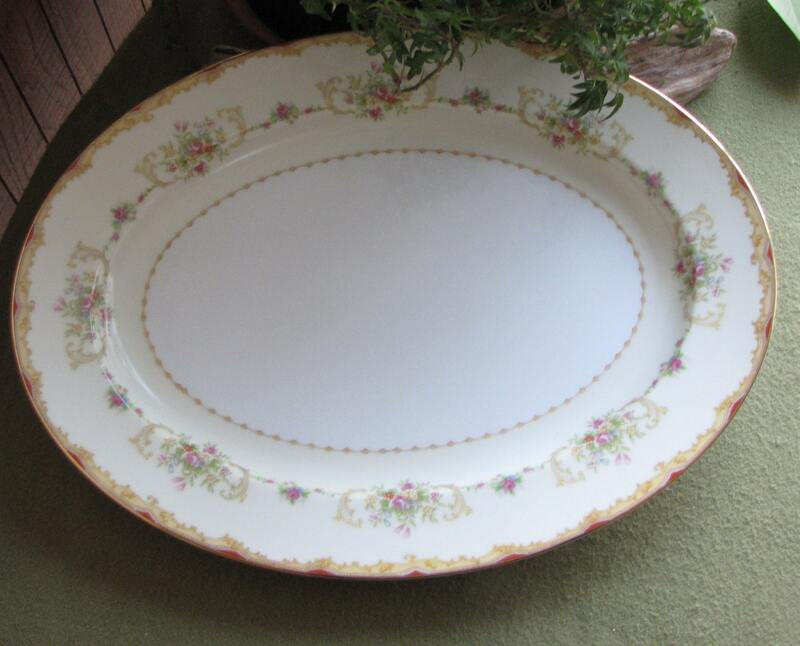 The platter measures 16 x 12 inches and comes with its own storage cozy. 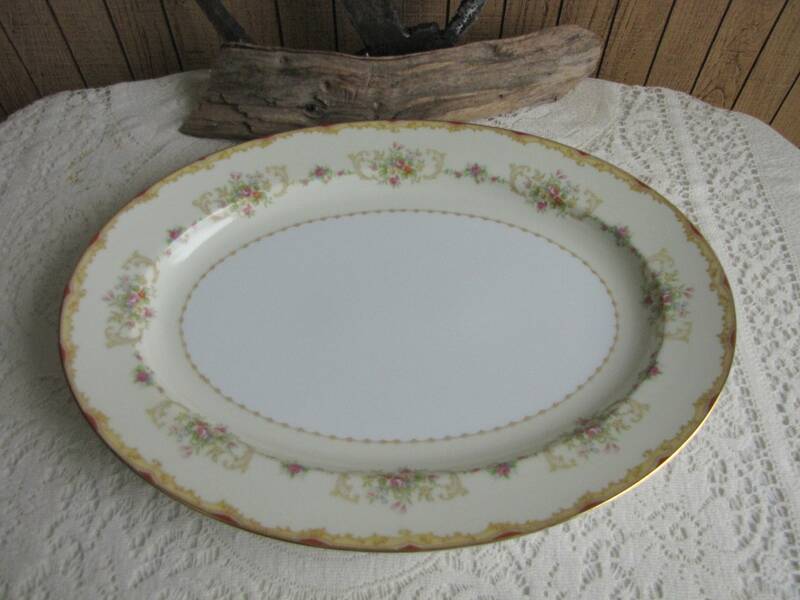 If you are interested in additional selections of the Noritake dinnerware, message me for a discount. 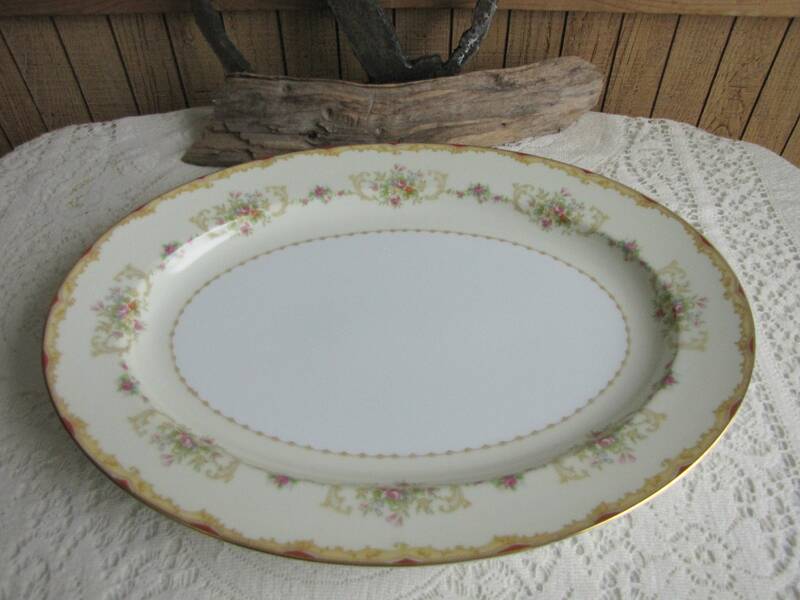 Noritake did not put a pattern name or number on the back stamp between 1930 and 1939. 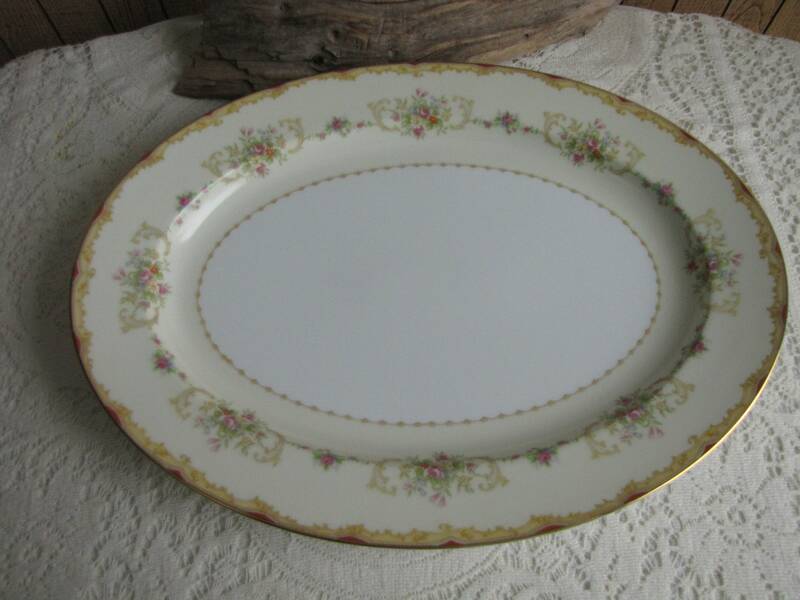 However, the Noritake M Wreath hallmark was used from 1921 – 1940. 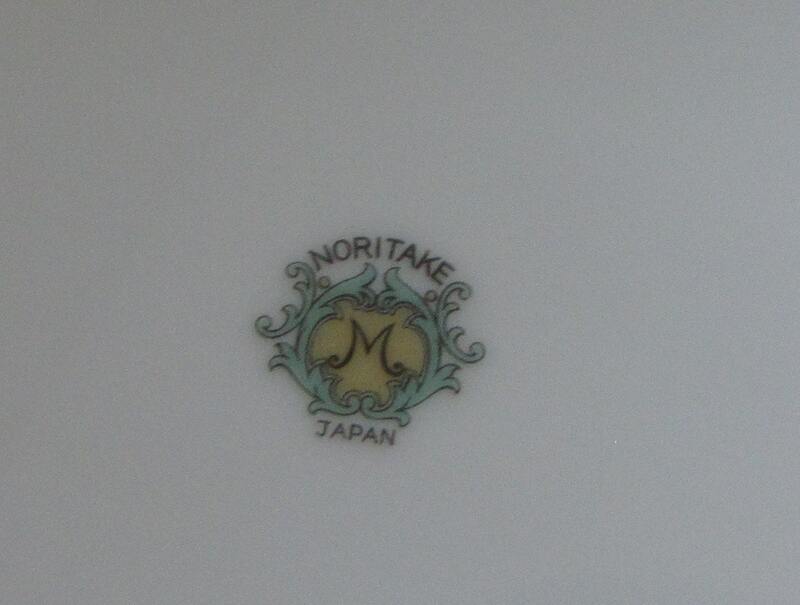 Noritake patented the backstamp in 1933 and used it until the start of WWII. 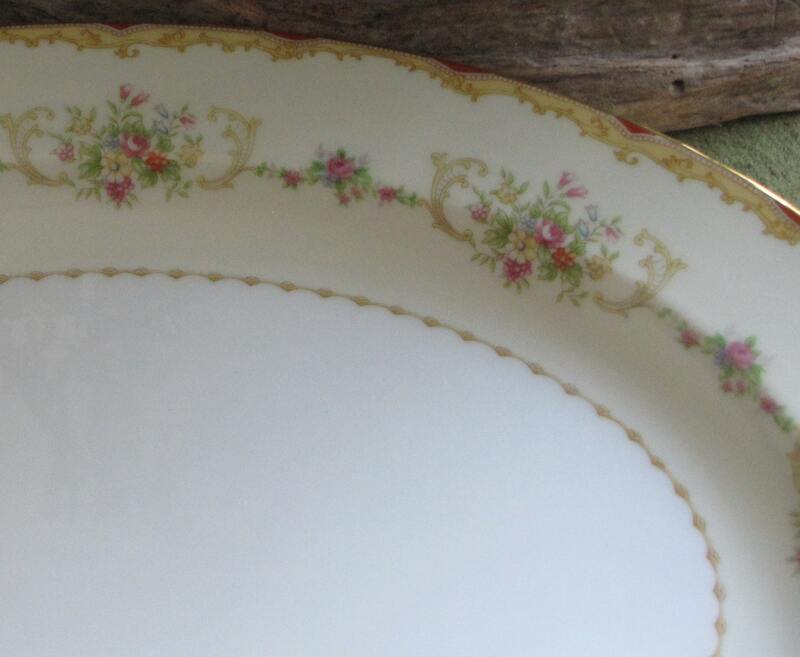 You’ll find patterns named “Mystery” with a number associated. 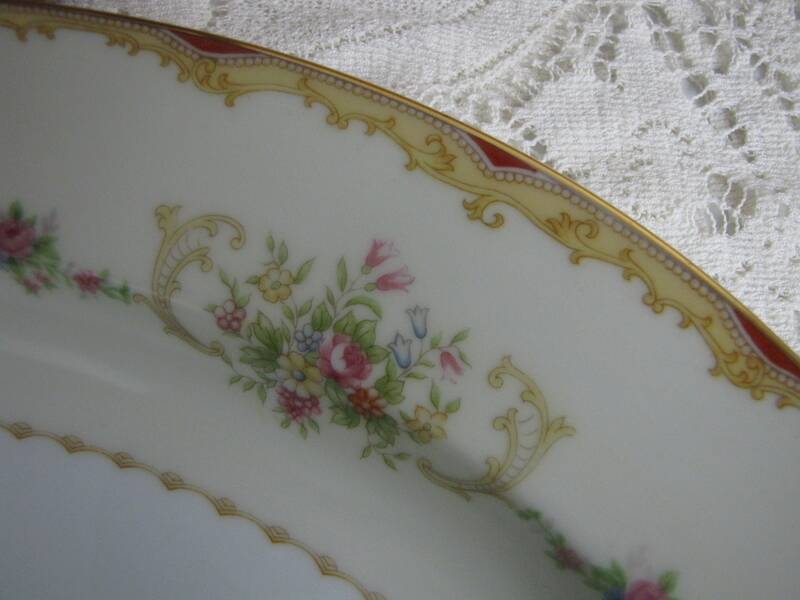 But I’ve been unable to find this exact pattern.